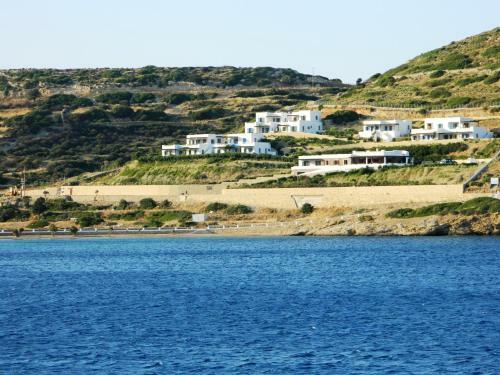 Lipsi is a wonderfully relaxed little Greek island and part of the Dodecanese archipelago. Apart from the capital there is very little to see on Lipsi, but somehow this seems to add to the charm of this tiny Greek island. Lipsi has some beautiful beaches, most of which are within walking distance from the centre. Lipsi Town is the centre of most tourist activities, with regular evening entertainment and some very pleasant bars, taverns and ouzerias. You can travel to Lipsi by ferry from other Dodecanese islands like Kos, Kalymnos or Rhodes or from Samos, connections from Athens are rather unreliable. Those who like their peace and quiet and just want to relax in an authentic Greek atmosphere with a minimum of tourist infrastructure will like it on Lipsi – or even fall in love with this Dodecanese Island. The small capital of the Dodecanese Island of Lipsi is the only proper town on the island. It has a relatively busy harbour, numerous taverns and bars and some truly beautiful hotels, e.g. the Nefeli Hotel on the outskirts of Lipsi. For a relaxing and comfortable Greek holiday, Lipsi is just right.